Boult Audio, the India based audio equipment manufacturer, has recently introduced its new ENCORE earphones. After gaining success on their previous audio devices – The Edge and Muse, Boult is now hoping high for ENCORE earphones as the company claims that it’s the brand’s most powerful earloop headset till date. The Boult ENCORE offers an athletic lifestyle thanks to its earloop design. For music fanatics who like to listen to music on and off throughout the day, the ENCORE can present a nice option. The design which the new earphones by Boult sports is also attractive and stylish, making it stand apart from the crowd. 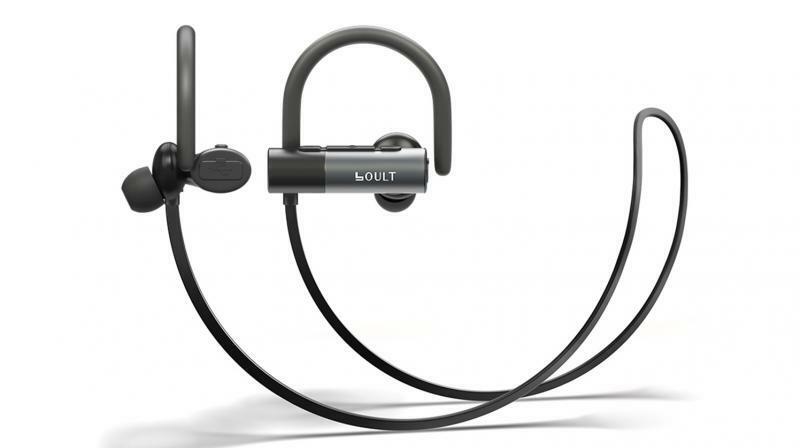 The Boult ENCORE earphones do not lag behind in terms of sound quality as they offer HD surround sound and punchy bass, according to the company. The built-in-mic will also aid users in picking up calls on the go, which is a nice nifty addition. There are also in-line call and music controls which will help the users answer calls and navigate through their playlist. The headset comes with a chic design and also offers the IPX7 rating, meaning that they can be used during shower and shorter duration swims. The cables which are longer than the standard quality come enforced with Kevlar along with an extra layer of rubber which lend it better protection and durability. Also, the ENFORCE headphones won’t disappoint audio enthusiasts owing to the Neodymium HD acoustics driver integration which will ensure the superior audio experience for the users. Undoubtedly, the ENCORE headphones are compatible with almost all mobile platforms in the market. Speaking of the battery on these headphones, the company claims that it can deliver 8 hours of battery life. The headphones also come with quick charge capability. The earphones come powered by the lCSR8635 chipset and users can also activate Google Assistant, Siri using the built-in mic controls. The Boult ENCORE earphones will be available across the online retail channels at a price of Rs 1,649.